Last December as I was laying on the couch, my foot in a cast, I found out I had been selected as a member of the Rock ‘n’Roll Marathon Series #RocknBlog team for 2015. I really wanted to jump for joy- literally- only I was just a few weeks out of surgery where my foot had been broken, sawed, bones removed and stitched back up. Jumping for joy would have been bad then. As a member of the team I was given a 3-pack tour pass I could use for any of the worldwide events on the Rock’n’Roll Marathon Series tour. I knew at that moment my dream of finally going to St. Louis was about to come true. How could Chad (my other half) not agree to a trip where I had entry into a half marathon? 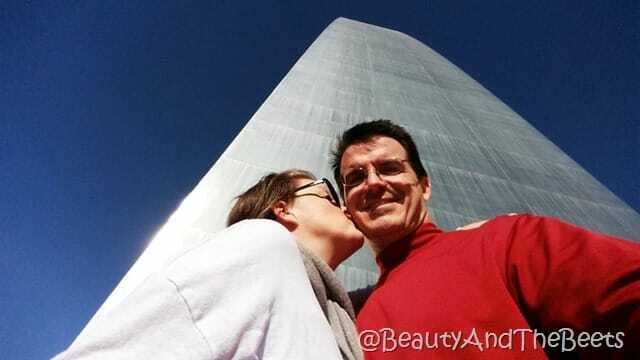 I am not sure when my obsession with St. Louis began. For years I worked as a Flight Attendant at Delta and St. Louis was one of the few places I never got to fly into. Maybe it became a challenge of just getting there. I became obsessed with the Gateway Arch. It’s so….plain yet so majestic. 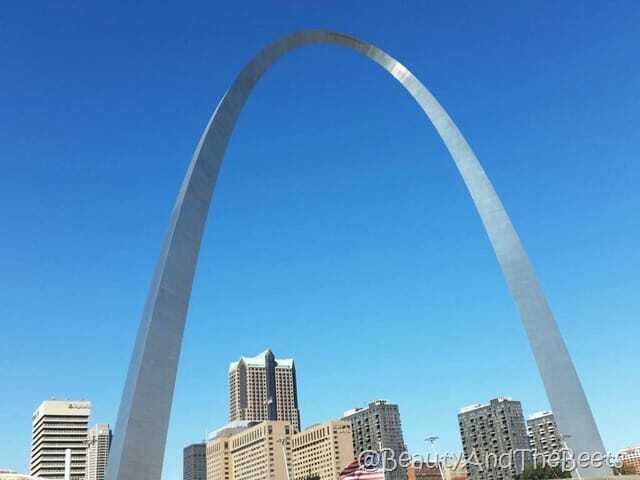 How is this curved piece of metal such an icon for some random city in the Midwest? Maybe I built it up in my head as something I just had to see in person. Anyway, here I was- doped up on pain meds and all I could think about was “I’m finally going to St. Louis!!! 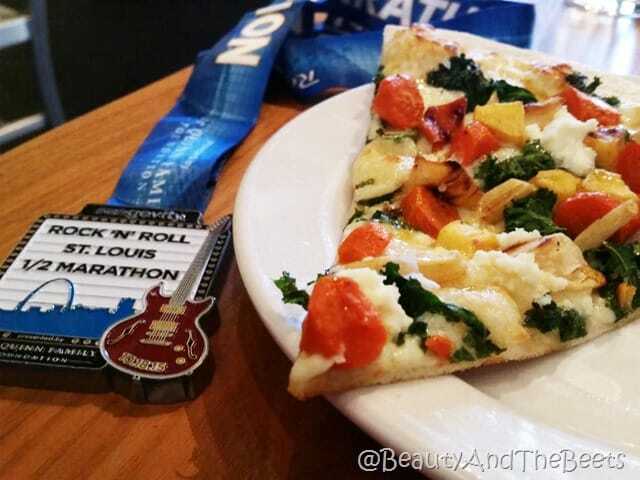 !” At the time it never occurred to me I was going to St. Louis to run in a half marathon. For months during my recovery I wasn’t allowed to run so all I knew was that I was going to see the arch. Anyhow, let’s fast forward to October. I had only run one race since my surgery- well, technically two a mile beach run and a 5k at the Humana Rock’n’Roll Virginia Beach Marathon Weekend. 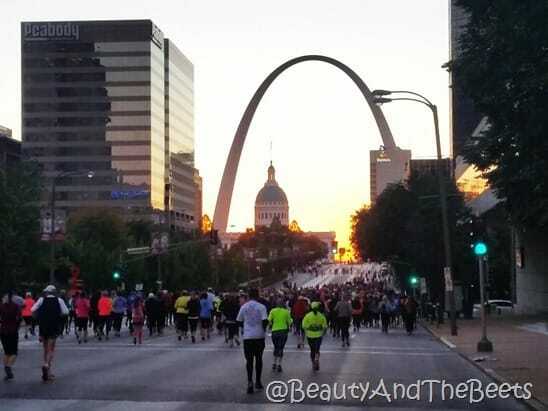 Here I was in St. Louis preparing for my first half marathon since surgery on my new foot. I wasn’t placing any pressure on my myself to break a personal time record here, my one and only goal was to finish. Mostly finish with my foot still in one piece. I am not much a runner to begin with. I love to walk/run. I love to see the sights. I feel like if I am concentrating so hard on the running, the breathing and trying to set records I will miss out on the fun of the race. This is why I love the races in the Rock’n’Roll Marathon series- even as a walker I am never alone out there on the course. Their races attract runners of all abilities from super fast Olympic athletes to the slowest of walkers. I always find myself among a group of people who are at my running level- we walk, we run, we walk, we run…..our only goal is to finish. 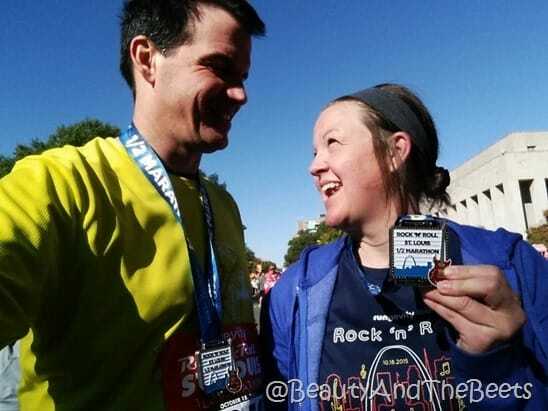 Though St. Louis is only the fourth half marathon I have done, it was most definitely my favorite. Maybe it was running toward the Gateway Arch as the sun was rising. Maybe it was that the weather was perfect for running. Maybe it was the thought that I was going to grab one of those gooey butter cakes after the race was over. 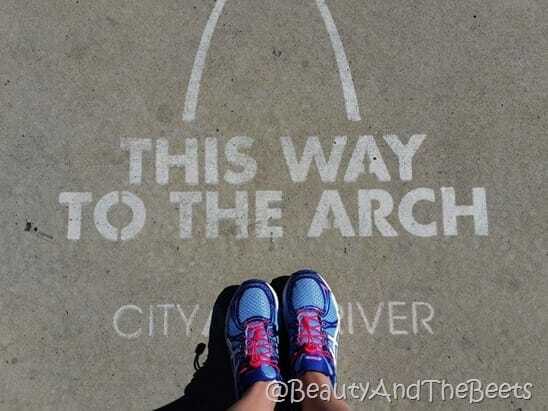 We ran through so many of the great neighborhoods that make St. Louis so cool. Perhaps one of my favorite parts of the course was the Tower Grove Park area with its tree lined shaded streets and its majestic homes. 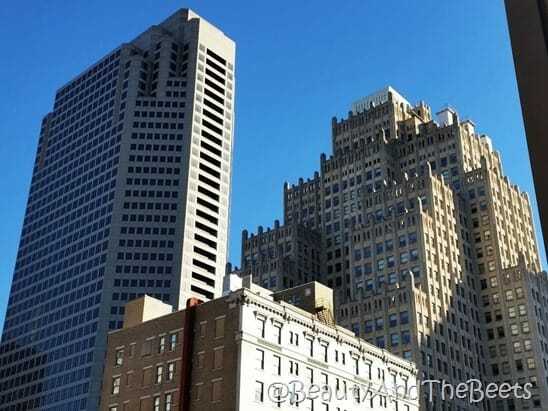 I loved the neighborhood around St. Louis University where the famous Fox Theatre was located. St. Louis has a lot of really neat architecture. The race was over before I knew it. Yes, my foot was sore. Yes, my legs were shaky. 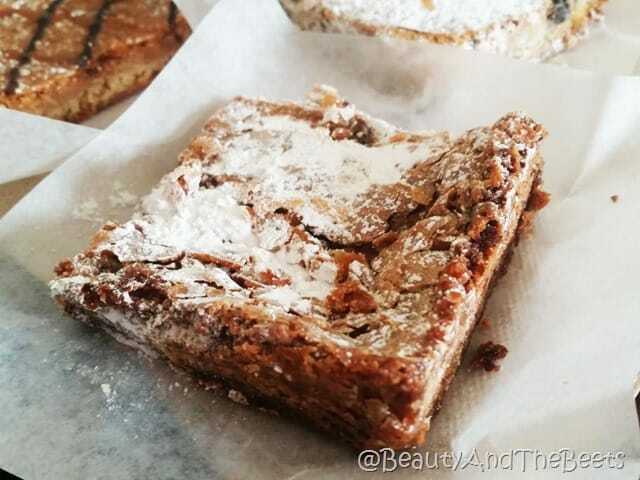 Yes, I couldn’t wait any longer for that gooey butter cake. However, I felt like I could have run the whole thing all over again. I just loved the course that much. There was never a dull moment- a true urban race. So many sites to be seen and of course all the bands were really awesome. 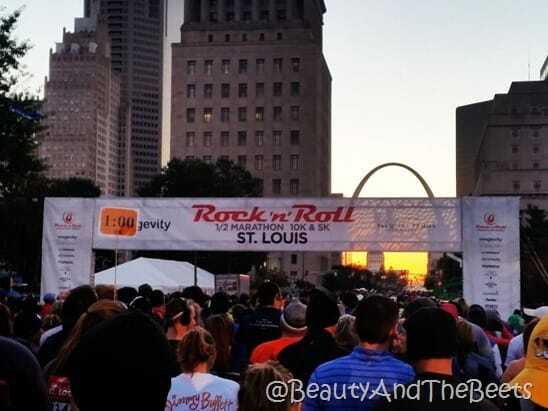 It is the local bands that entertain the runners on the course that makes the Rock’n’Roll Marathons so well known. The bling was pretty too. And- one of the cool things about traveling to a distant city for the race is also taking the time to explore the town and eat all the delicious local food! More about that stuff later! Go to the Rock’n’Roll Marathon Series website to find a city YOU can run in! !